Special needs schools, like those that serve deaf children, have unique requirements above and beyond a typical K-12 institution. 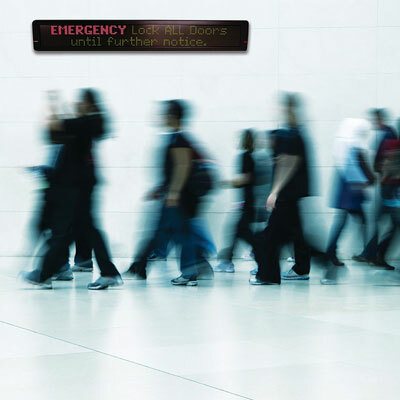 The typical piercing “fire alarm” sound cannot be heard; emergency announcements over the intercom are silent; and any type of security alert needs to be visual to be understood and acted upon. This has afforded MessageNet Systems, a provider of communications systems, software and security solutions, an opportunity to take the existing visual communication elements deployed throughout these schools and leverage them fully for security purposes — enhancing each school’s communications investment. The added benefit is that this approach can also be used in traditional K-12 schools to also help extend a school’s security and communications investments. The company has deployed security systems in more than 40 schools for the hearing impaired throughout the country by combining communications and security into a uniquely integrated package that not only is comprehensive, but also is easy to use. MessageNet has become a pillar in the in the special needs and overall K-12 community because not only does it offer a security system, but it provides a way for it to double as an effective communications tool by providing easy ways for students and staff to visually communicate. The systems can be fairly simple, or incorporate many different security applications under a single browser interface. There continues to be more security opportunities for dealers and integrators in the K-12 environment, but it is up to integrators to show key decision makers how to best leverage the technology within their budget while helping increase school safety. To overcome barriers associated with the hearing impaired, the single browser interface enables emergency responders to access the security system directly. For example, responders can view school cameras in real-time. There also is the ability to track motion detectors, allowing responders or administration to activate a camera in the location where movement was detected. The browser screen can offer visibility into which doors are being opened or if there is motion in a certain area. With the browser, an authorized party could view or monitor this information from home or a remote location. There are many other applications that could be integrated into this type of system. For example, the fire panel can send data that may enable voice evacuation or other emergency messages (such as visual messages on LCD screens in each classroom and throughout the school) and the card access system can receive messages — all in real time — on the browser screen. Meanwhile, every teacher has a button to press in the event of an emergency that initiates the notification. MessageNet uses Inovonics’ wireless panic buttons in most of the school installations. Typically, each classroom is equipped with a wireless button that is pressed during an emergency. Once the button is activated (from a single touch), an alert is sent through the appropriate notification channels, which may, in turn, enable camera activation, text messages, PC pop-ups, email, voice calls to emergency responders and other key personnel, as well as public notification on LED signs, LCD TVs, and postings to school Twitter and Facebook feeds. Social media increasingly has become an important tool for a variety of communication strategies, including security notification. The panic-button notifications are configurable based on specific needs of the school. For optimal coverage, each school should be evaluated on an individual basis and must understand that there is no standard communications or security set-up. There are, however, best practices that will apply to most installations — for example, multiple modalities of notification tend to be far more effective than a single solution. If these security and communications devices are only used for safety purposes, schools will be investing in something that is (hopefully) rarely used. The exception would be if the system served another purpose, such as the primary communication system for the school. For example, LCDs can show an evacuation route or display important information in an emergency; however, during normal school hours they could be configured to display information for students or coordinate the bell schedule. With an LCD set-up, schools also can activate a camera for daily video announcements; in fact, MessageNet’s deployments have doubled as educational aids, to provide school information, disseminate announcements, welcome visitors, and market the many benefits of the school. Depending on the school’s current technology and communication needs, a comprehensive solution can be designed specifically to meet those needs while doubling as a highly reliable security system. This is where traditional K-12 schools can reap the benefits of learning from a special needs security system. The more you can leverage the school’s investment in technology — regardless of the purpose — the greater the return and higher satisfaction. Schools working with MessageNet often find interesting and unique ways to use their communication and security systems, which further showcases the flexibility of integrating various technologies. One school requested integration with IP cameras so they could provide streaming video of a multi-day basketball tournament on their website and on all of the LCD displays on campus. At several hearing-impaired schools, the wireless panic buttons are also used as the doorbell at the school. The button activates an electronic and LED sign, which scrolls a message to check for a visitor at the door. While schools can get as detailed and comprehensive as they need, it is important to remember that for many installations, it is possible to leverage some of the school’s existing technology — which offers yet another way to reduce cost. Consider the needs of the school and what it requires. If hearing-impaired, it will need a more visual approach to its security set-up, as an example. Administrators and school staff are almost always concerned about student education and student/staff safety above all else. Be prepared for questions about ease-of-use and the time it actually takes for notifications to occur. Highlight some of the potential “gotchas” that traditional security systems don’t address and how an integrated security and communications solution can overcome these weaknesses. Some installations are unique, such as older school buildings with thick, heavy walls or outdated technology. In most cases, these challenges are overcome with proper network design and planning. When it comes to panic buttons, administration or staff may express concerns about false alarms both during and after installation. A reputable integrator should install the system with test messages configurable to the school’s specifications. Once the system is installed and fully tested, the emergency messages are then put in place. It is very difficult for the buttons to be pressed accidentally, and they can be reassured by testing the system. Prepare to give detailed answers to questions on how the new technology will integrate with on-site equipment such as PA systems, PBX switches, or in-house LCDs and cameras, etc. Bring examples of how other schools are using the system. Make sure the schools can see the big picture of the installation and help them understand the return on their investment – show them how they can get the most out of their system. Visit the company at www.messagenetcommunicationsystems.com.